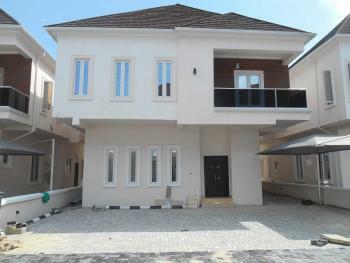 You can read a comprehensive review of CHEVRON area of Lekki, where the property is located via the link below -- http://www.neighbourhoodreview.com/a-comprehensive-view-of-the-chevron-area/The house is spacious with en suite rooms The house comes with: - Quality upscale finishing - Gas cooker - Extractor - Good parking space for cars - and all necessary electrical and plumbing fittings, ready for immediate occupation.It is located in the CHEVRON area of Lekki, which is where the Chevron Headquarters is. It is a high brow residential area with some a few of the best-serviced estates such as Nothern Foreshore Estate, North Pointe Estate, Bourdillion Court, Carlton Gate, Paradise estate, etc. ₦65,000,000 Neighbourhood Review Nigeria Ltd.